Anchor historian Dave Burkhart explores Anchor’s first brew and bottling of Anchor Summer® Wheat, with a little help from former Anchor brewmaster Fritz Maytag. 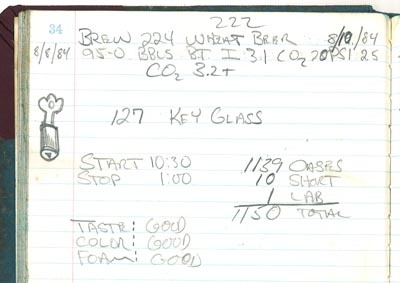 We bottled our wheat beer for the first time on August 10, the 222nd day of 1984. Bottling superintendent Chris Solomon drew a picture of a little key in the bottling book that day. The key on the bottles is called a Zwickelschlüssel, German for sampling-valve key. “It’s an old device. Only the brewmaster would have one and a few trusted associates. It was needed to open the sample valves on cellar tanks, which had a triangular or other odd-shaped inner stem that could only be opened by the key. It’s not uncommon for a water spigot in parks or similar places to use a comparable device today.” At Anchor, we still call the sampling valve on a cellar tank a “Zwickel,” though—dare we say—these valves do not lock. There are still a variety of old keys and barrel taps in the Anchor brewery, including the Zwickelschlüssel that served as the inspiration for the key on the bottle. Note the little triangle on the key on the bottle and the triangle on the key itself. The Zwickelschlüssel dates back many centuries and appears in many cultures. 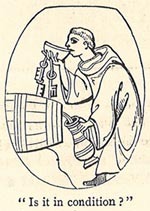 An early illustration in The Curiosities of Ale and Beer depicts a monastic cellarer caught in the act of taking advantage of his key privileges. Early English barrel-tap keys have become quite collectible, particularly when coupled with a solid-brass barrel tap. 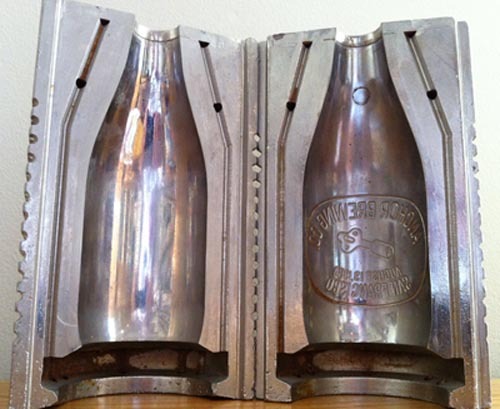 Fortunately for Anchor, the “then throw them away” part of the deal was forgotten and a set of these historic bottle molds survives, a cherished memento in the Anchor Brewing Collection. 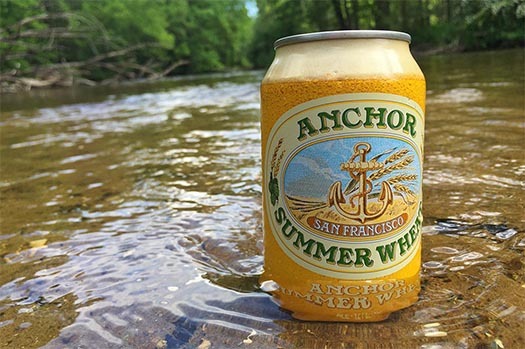 Anchor Wheat Beer is a survivor too, still brewed in the same brewery where it was first brewed and bottled more than thirty years ago. And still the key to a great Summer! This post was updated May 29, 2016.